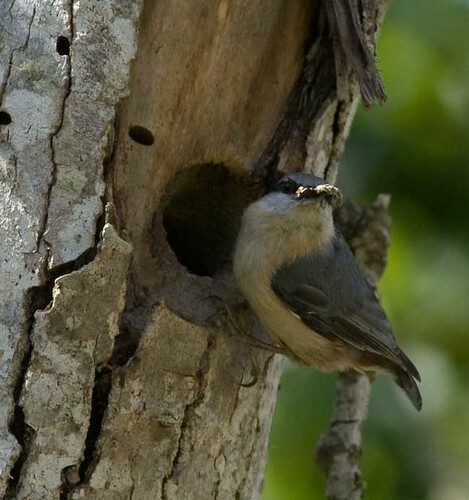 Nuthatch-at-nest-20090424, originally uploaded by Paradise in Portugal. This is the photo I’ve been longing to take. I love the way that the Nuthatch uses old Woodpecker nests, reducing the size of the entrance hole with mud to prevent larger birds raiding its nest, as in this picture. I’ve been keeping a special look out for one, and today, while Daniela and I were doing a Common Birds Census for SPEA, the Portuguese Bird Study Association, I had my chance and grabbed it! Bee-swarm-20090421, originally uploaded by Paradise in Portugal. This time of year here everything happens at once, especially with Nature, and there never seems to be a day when Life carries on in a hum-drum fashion. 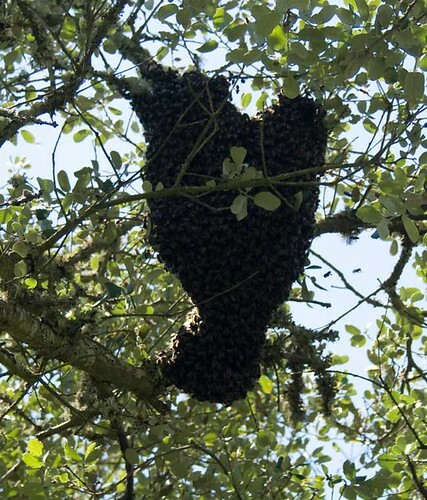 Yesterday was a case in point when a swarm of bees decided that the Quinta was the place for them and settled in a tree outside the back door prior to descending on the roof and crawling inside. 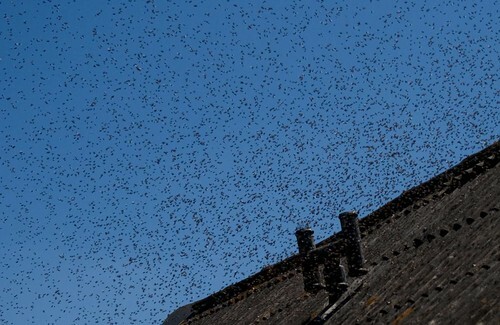 It was a big swarm too and a pity that we can’t use it and give them a proper home in one of our hives. They settled too high up in the tree to get at them safely and crossed over to the house so quick that we hadn’t time to prepare to catch them before they’d got inside. It might interest you to know that at this time, when they’re swarming and seem to be in such frightening numbers, they’re relatively harmless and one can pick them up, (carefully! ), with one’s bare hands, but within a few hours, the time it takes them to gather their first nectar, they revert to being their cantankerous selves again and defend their home and food supply the same as ever. Well, we’ll leave them there for a bit as they’re doing no harm at the moment, but I’m afraid they’ll have to go by next winter when we want to take the roof off for some maintenance …..
Bee-swarm-flying-20090421, originally uploaded by Paradise in Portugal. 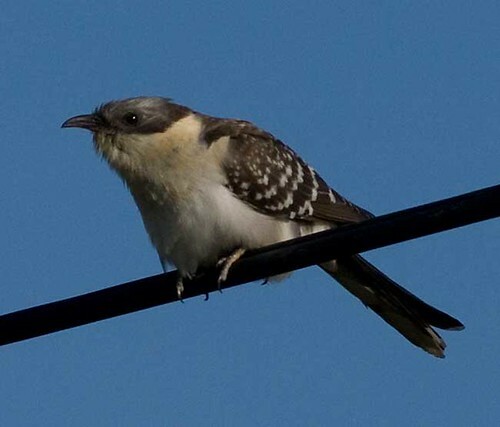 Greta-Spotted-Cuckoo-20090420_3675, originally uploaded by Paradise in Portugal. This is one of my favourite species, (and there are some mating-action shots on my birding blog if you want to see them!). A pity that my typing isn’t as good as my camera and that I spelt its name wrong ….